Dar-Un-Noor Academy is a private, independent Islamic school which serves grades PreK-11 located in Midtown, Atlanta. 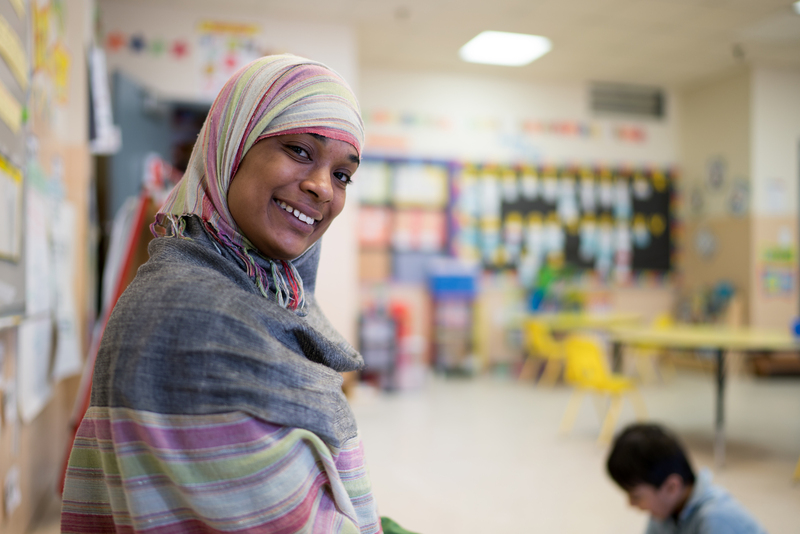 The faculty, staff, and administration at Dar-Un-Noor provide a safe and nurturing learning environment, and an education that is embedded in the great traditions of Islam. We are committed to the complete education of our children, and recognize that you as the parents are our partners in education. We pledge to work with you to help your child grow into an individual well developed in their Islamic faith and practice, who will have the tools to be successful in future academic endeavors and in the world beyond the classroom. We believe in exposing our children to a variety of learning situations and core subject areas such as Math, English, Science, and Social Studies. In addition to the core subjects, all students from grades K-10 have Islamic Studies, Arabic and Qur’an Education classes every day. Furthermore, all students explore art, computer education, physical education, and library skills. In our rigorous high school program students will be able to take Advanced Placement (AP) courses, enroll in Dual Enrollment Programs, and take honor classes. Besides Arabic, we will offer a second foreign language course to eligible high school students starting from Grade 11. Our unique College Mentorship Program provides guidance to our students in their journey to college. Our classrooms are equipped with the latest technology including Smart Board, Internet access, and computers. Dar-Un-Noor after-school programs have positive impacts on the children’s academic and social development. After-school clubs such as Math Olympiad, Science Olympiad, Robotics, Science and Technology, Art, Media, Debate, Model UN, Sports etc. keep students safe while learning new skills. Dar-Un-Noor Academy is accredited by the AdvancED and Georgia Accrediting Commission. Our PreK program is licensed by Bright From the Start. If you would like to learn more about the differences Dar-Un-Noor Academy can make in your child’s life, we would be happy to answer your questions about our school located next to Al-Farooq Masjid on 14th Street. For further information or to arrange a school tour, please call our office at (404) 876-5051 or email info@darunnoor.org . Online application is available on www.darunnoor.org for the school year 2018-19. Note: Scholarships are available based on merits and need & availability.